Book News: Forgotten Young Adult Novels From 1930s Onward To Get New Life : The Two-Way Also: Isabel Allende's love of Zorro; Lemony Snicket makes a Twitter appearance; Cat Marnell's book proposal was leaked. 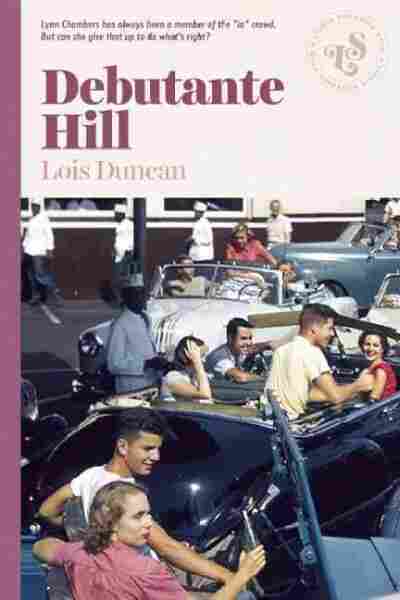 Ig Publishing's new imprint, Lizzie Skurnick Books, will publish forgotten young adult novels, beginning with Debutante Hill by Lois Duncan, which was originally published in 1958. Publisher's Weekly quotes Ig co-founder Robert Lasner as saying the imprint will "bring back the very best in young adult literature, from the classics of the 1930s and 1940s, to the thrillers and social novels of the 1970s and 1980s." Isabel Allende, the 70-year-old Chilean novelist, had an unexpectedly racy interview with The New York Times. Asked what fictional character she would most like to meet, she answered: "Zorro, of course. If possible, at night and in bed, with the mask but not the whip." Roger Ebert, who died Thursday, was not only a film critic, but also a writer of fiction. Read his short story "The Thinking Molecules of Titan" at The New Yorker. Cat Marnell, writer, socialite and former beauty editor at xoJane, is coming out with a memoir, and BuzzFeed got hold of the proposal, which is heavy on drug use and the word "swag." A Series of Unfortunate Events author Lemony Snicket (whose real name is Daniel Handler) is taking over the Twitter account of Huffington Post Books today. He'll be answering questions about fear, in honor of his newest book, The Dark, about a little boy who is afraid of it. But at Slate, Jacob Silverman is tired of the "lit world's online slumber party," arguing in an article last year that social media inhibits a lively literary culture.